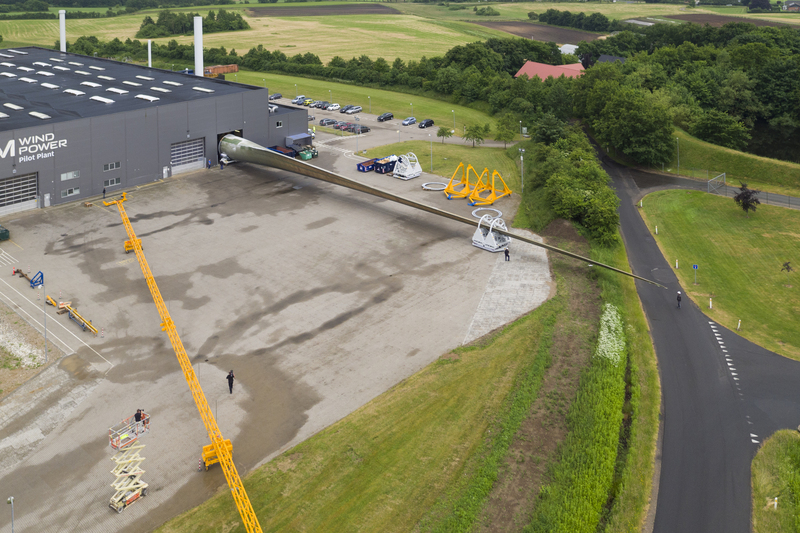 DENMARK: Offshore joint venture Adwen and Danish blade producer LM Windpower have partnered to produce an 88.4-metre rotor blade for the manufacturer's 8MW turbine. 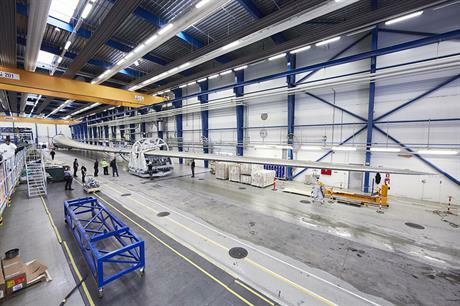 LM produced the blade at its Lunderskov facility in west Denmark. It will be transported north to Aalborg to undergo testing, the company said said. The blade was designed in partnership with Adwen and will be used on its 8MW turbine with a market-leading 180-metre diameter. LM used a hybrid of carbon and glass fibre to manufacture the blade. According to LM Windpower, the blade is more than five times the length of those installed at the Vindeby offshore wind project in 1991. "The blade design has been conceived with scalability in mind to enable the further development of Adwen's 8MW platform," LM said, suggesting larger blades and higher rated turbines are already in the offing. A prototype of the 8MW turbine is set to be installed in northern Germany later this year. Its drivetrain is currently undergoing tests at the Fraunhofer Institute's Dynalab test bench, also in north Germany. You can watch a video about how the blade was made here.